The ARX of Gateway, Rounds 2 & 3 of the Americas Rallycross Championship will see the likes of 2018 ARX Champion Scott Speed, Steve Arpin in his Ford Fiesta and Sweden’s Patrik Sandell along with high-energy and ultra-competitive ARX2 class. It’s your edge of your seat thrill ride where the best drivers from all over the world come to compete. 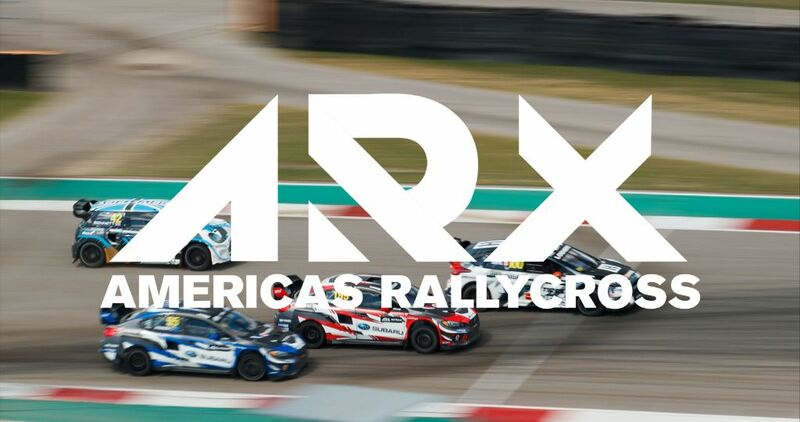 ARX is a North American-based rallycross championship fielding action sports stars, world class manufacturers all competing at premier race locations around the continent. ARX is the next evolution of the high speed, action packed world of rallycross. Rallycross is the fastest growing form of racing in the world. Short races and viewer friendly asphalt and dirt circuits with 600 brake horsepower production-based racecars makes for exciting racing and is suited to the way we enjoy sports today. Military tickets require a valid military ID to be presented at entry. Junior = ages 15 & under; Juniors must be accompanied by an adult, and Junior tickets cannot be purchased alone. Mailed tickets will be shipped starting 1 month prior to the event, and then daily after that. All guests must have a Grandstand ticket or proper credentials, regardless of age. There is NO SMOKING in the Grandstands per Illinois state law. There are designated smoking areas on the concourse. Fans that violate this policy will be ejected from the faciliy. This policy also includes e-cigarettes and vape pens. PERMITTED ITEMS: One soft-sided cooler (max size 14"x14"x14") and one carry-in item (purse/backpack); Plastic bottles and aluminum cans (no alcoholic beverages); Binoculars; Scanners; Cameras; Seat cushions; Strollers (if accompanied by a child) - their use cannot inhibit guest movement or block any aisles. Strollers are not allowed in the Grandstands. Strollers can be left on the concourse underneath the Grandstands and can be secured by the guest to the chain link fence. All items brought through a Grandstand gate are subject to search by Gateway Security. Gateway Motorsports Park is not responsible for lost or stolen items. Will Call is located outside of the track across from the main entrance. All items held as "will call," including parking, will be held there.